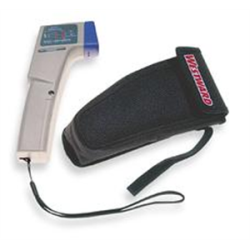 Manual for the Westward model 6JG66 and 6JG66A Pocket Infrared Thermometer. Includes features, operation, safety and trouble-shooting instructions. 4 pages (English).